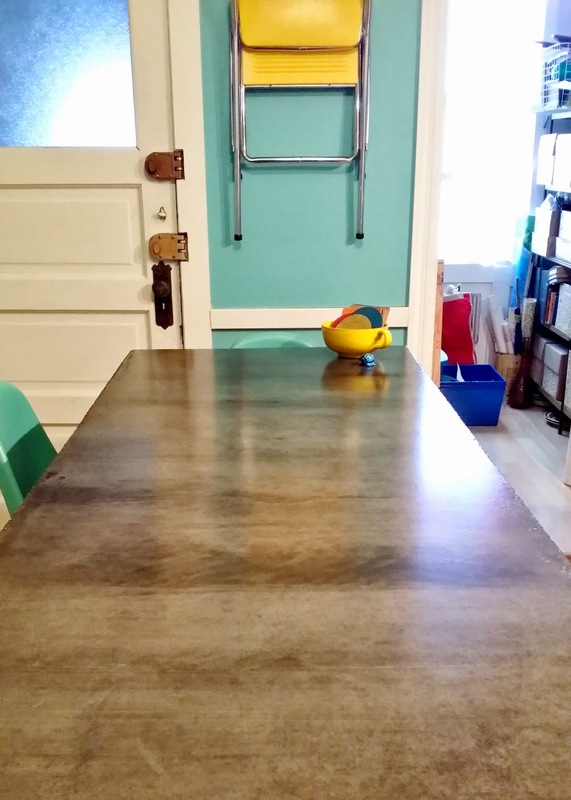 Two and a half years ago, we embarked on our biggest DIY project - a concrete-topped kitchen island. From designing the island to building the frame to pouring the concrete, we did the whole thing ourselves. Talk about stress! I spent months researching concrete and trying to convince my husband that we really could do this on our own. After finally getting him to say yes, it was MY turn to freak out. What if the base we built wasn't strong enough and we ended up with 500lbs of concrete crashing through the floor? I'm pretty sure we'd lose our security deposit. Nonetheless, we dug in and after a few mistakes with the base (like screwing up the measurements and not realizing it until AFTER we finished building) and a lot of mistakes with the concrete finishing steps, we ended up with the island of our dreams! 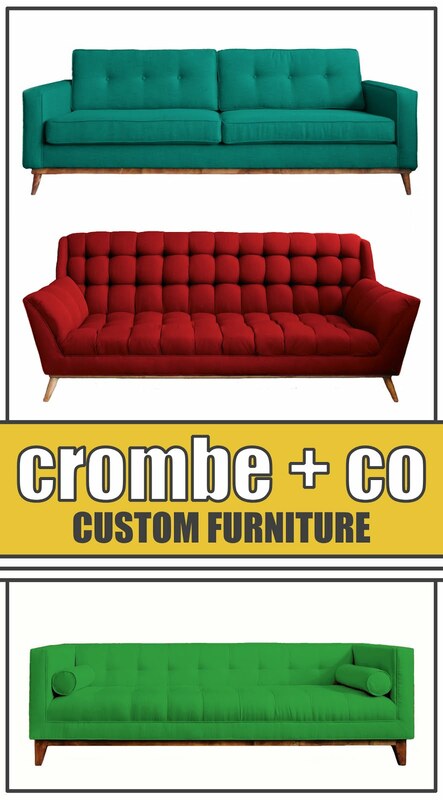 >> Want to build your own countertop? 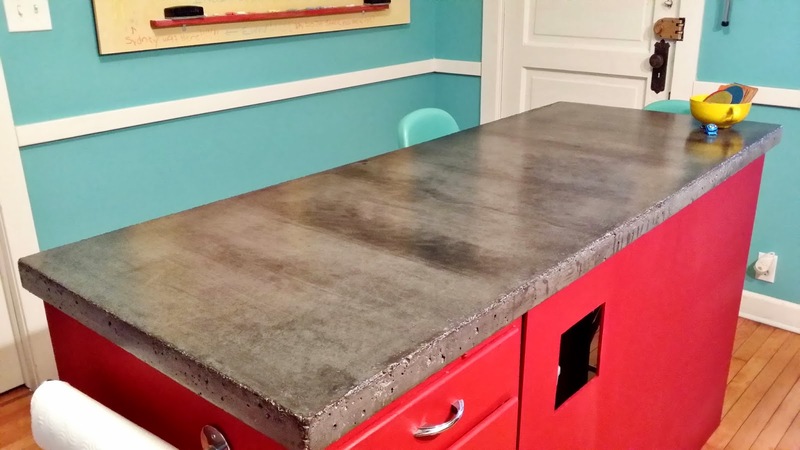 Check out our concrete countertop DIY tips. So after 2 1/2 years, how do we like the concrete? We LOVE it! It's just as beautiful as it was the first day and we couldn't be happier. If we weren't renters and I didn't already like the wood counters in the rest of the kitchen, I would do all the tops in concrete. As long as you're willing to do light maintenance and get rid of harsh cleaners, you'll love concrete too. Below are a few basic rules we follow. Cleaning - Bleach, vinegar, and other harsh cleaners will eat through your sealer. Instead, stick with soapy water, gentle sprays like Clorox Anywhere Spray, and granite/stone cleaners. We generally do soapy water for daily cleaning and use the Anywhere Spray for disinfecting. I've cheated and used bleach kitchen cleaner a couple of times when we were out of Anywhere Spray. It won't immediately ruin your concrete but if you do it regularly, it will. We use the granite cleaner when we want to give the counter a little treat or when we're having guests over and we want it looking its absolute best. We also use it after waxing the counter. Our favorite is Method's Daily Granite. Like all their products, it's eco-friendly and smells AMAZING! 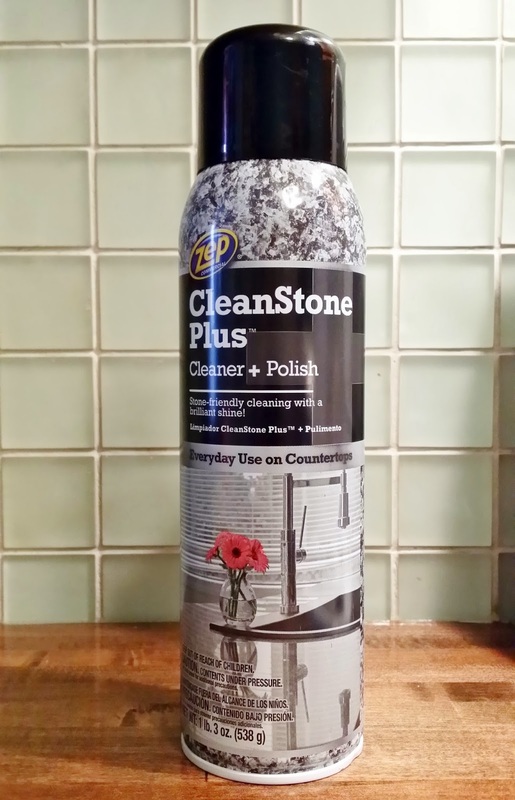 They were sold out of it when we went to the store last month so we bought Zep CleanStone Plus Cleaner + Polish instead. Like Method, it's around $5. It smells good and I like that it's a foam. Food & Drinks - No matter what you do, your concrete is going to patina so don't freak out too much if you notice something. Still, there are little things you can do when cooking to keep the wear to a minimum. Most things (use a cutting board when cutting, use trivets for hot pots and serving bowls) are pretty standard for any countertop surface. As for drinks, we rarely use coasters. Once, I left a glass of ice water on the counter and came back to find it dripping and sweating all over the concrete which left a ring. 15 minutes later, the ring had evaporated. If you're going to leave a glass of freezing cold water dripping on the counter, I'd say use a coaster just to be safe. If you're just having a cup of coffee or glass of water and it's not sweating like crazy, you're fine since most water rings will evaporate. Be careful with acidic foods and drinks because they can eat away at or penetrate the sealer. I left a jar of condiments on the counter (can't remember what it was) and it left a ring that took weeks to go away. Now if I look hard, I can still see a very faint ring. Waxing - We waxed our countertop EVERY. SINGLE. MONTH. like clockwork. We used paste wax but you could also use carnuba wax or beeswax if you want something more natural. The wax provides a barrier and helps the sealer last longer. A lot of websites suggest that you refinish your counters at the 1-year mark, but because we were faithful about waxing it every month, we were able to make it 1.5 years before we started seeing any wear to the sealer. 6 months later, we resealed the counter. To see if your sealer is on its way out, try the drop test: if a drop of water soaks into the counter, it's time to refinish. If it beads, you're good to go! I knew our sealer was worn when I left a damp towel on the counter for a minute and the water absorbed into the counter. This happened more and more as the sealer continued to wear. Once we decided to reseal, we stopped waxing so that the wax would have time to wear off. Holes and Cracks - Another sign our sealer was worn was when I noticed all the little pinholes we'd left on the surface kept filling with flour every time I baked. They had partially filled with sealer when we first made the counter, but when the sealer wore down after a year and a half, the holes became deeper and began to hold flour and other particles. We were left using nails and toothpicks to clean them out. It made me hate cooking! And that's it! See, keeping up with concrete counters isn't that hard after all! Now it's time for the last maintenance step, resealing. 2 MONTHS OUT - Stop waxing. The wax creates a barrier that you'll have to sand off in order to reseal the counter. Once you see your sealer is worn, stop waxing and make a plan to reseal the counter in 2-3 months. When it's time to reseal, you'll have a lot less work to do if you don't have wax to deal with. By the time we were ready to reseal, our counters were pretty much worn down to the bare concrete. SAND - If you recently applied wax to the counters and can't wait 2 months to reseal, you'll have to use a sander to cut through the wax and into the sealer. There are also etching products that can help if you have a lot to get through. You could even try using stripper, though I'd recommend using a less harsh citrus stripper. If you used a stain or cement color, you may want to stick with sanding so you don't eat through your color. If your counters are as worn as ours were, a quick sand by hand may be enough. After that, I washed the counters to get rid of dust. FILL & SAND - After a mistake vibrating the bubbles out of the concrete the first time around (more on that here), we ended up with a lot of holes that we decided to leave unfilled because we liked the look. It was fine until the sealer started to wear and I was left with a bunch of tiny holes that filled with flour when I cooked. This time around, I decided the holes had to go. I tried using Quikrete's Concrete Filler, but the filler was very rocky and the holes in the counter were too small for it to work. 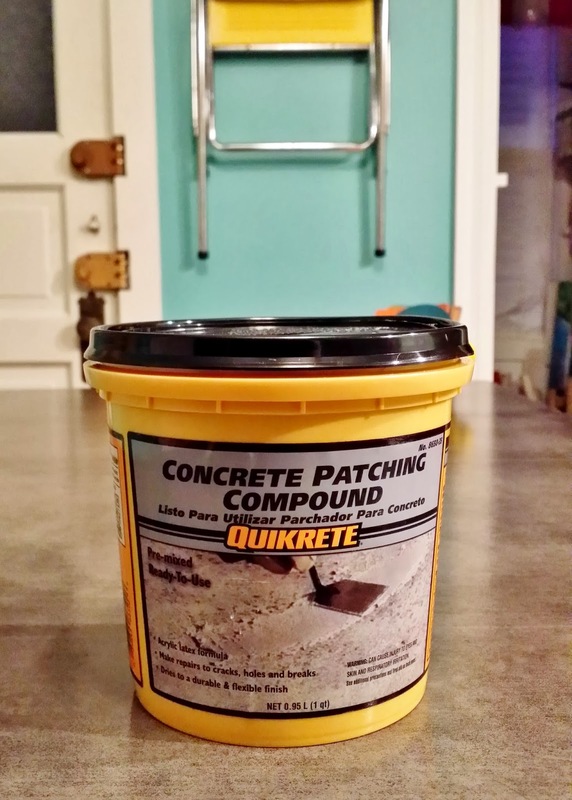 So we headed to Home Depot to search for grout and instead came across Quikrete Paching Compound. It's the perfect consistency. It took me a couple of passes to make sure I got all the holes but it was easy to spread with a putty knife and the excess wiped off with a damp towel. We used charcoal grey concrete color to make our counter so after the compound dried, I put a little color on a paper towel and went over the holes a couple of times to die them the right color. After that, do another light sand to level off the grouted areas and clean once again to remove the dust. I mostly concentrated on the tiny pinholes in the middle since those are the most annoying. We still like the look of the rough edges so I didn't go too crazy filling the edge holes all the way. Filling the holes with compound. I used a towel to add color to the grout after the compound dried. SEAL - From here, I followed the same steps I did when I sealed the concrete the first time. I still had my spray bottle of sealer so I gave it a good shake, then sprayed it on the counters and used a big foam roller to even it out. Originally, I only did 3 coats but this time I went crazy and did like 4 or 5. There was no reasoning behind it, I just had a lot of fun spraying I guess! Unfortunately, I got distracted during the last coat and the sealer started to dry before I could roll it out which left me with faint marks where the foam sat too long. I didn't notice this till after I finished and applied the wax so now I'll have to lightly buff the spots out with 400 grit sandpaper. Thankfully you can only see them if all the lights are on and you stare at the right angle so t's not a huge deal. WAX & ENJOY! - Apply a coat of wax and resume your monthly waxing schedule like you normally would. Then you're finally ready to enjoy your newly sealed counters! Did you ever figure out what brand of sealer you used? My countertops looks really similar to yours- just trying to decide on a sealer. I keep forgetting to get in touch with our landlord's nephew to ask him what brand the sealer was. We just took some of his and poured it into a spray bottle and I never wrote down the name. From what I remember, I THINK it was StoneLok. It's available from a number of different places but can be quite pricey if you're only doing a small project like we were. Still, it's held up great for almost 3 years now with only one re-sealing. Works for me! What paint color did you use on the walls? I love it! Thanks! The color is Lagoon by Martha Stewart. It's somewhere between a robin's egg blue, Tiffany blue, and turquoise. Send pics if you decide to do a little painting! Did you ever make sense of what brand of sealer you utilized? My ledges looks truly like yours-simply attempting to settle on a sealer. No, we've since moved and I never remembered to ask our landlord's nephew what brand it was. It was a penetrating, wet look sealer if that helps. Good luck on your project!